I help dynamic entrepreneurs through critical turning points in their business journey with practical hands-on support. I’m passionate about seeing other women succeed and as an experienced trusted advisor I’ve supported many dynamic business owners just like you. I employ deep insight and realistic solutions – taking care of the business side of your business so you can focus on what you do best. I will reignite your passion and enable you to enjoy the exciting next stage of your business growth. Hi, I’m Amber! I am a graphic and website designer who works with professional creatives, crafters and other small businesses. I am truly passionate about creativity and helping small businesses to get beautiful design so that they can stand out and build success right from the start. I believe that budget shouldn’t hold you back and so I offer a budget website package that includes 3 essential pages based on a predesigned template, as well as payment plans to spread the cost of a design project. Book a free 20 minute discovery call via my website to discuss your design! Specialising in supporting animal care businesses with business development and social media training, Taranet’s Director Suzanne, is a qualified manager (Member of Chartered Institute of Management) and Hootsuite certified professional. Training/business support is tailored to individual requirements, online or attend a multi-agency training. Also, careers advice and information for anyone who loves animals and wants to care for them holistically. Plus Suzanne is an independent Forever Business Owner, retailing Aloe Vera healthcare for all the family, plus opportunity for anyone serious about developing another income stream. Please email to discuss your requirements or for more information! ELK Prints is a graphic design and illustration studio based in Sydney. Specialising in print media ELK Prints offers a range of commercial graphic design services. Party by ELK Prints is an illustration subsidiary of the business offering both custom ‘couture’ illustration services as well as a range of products to accentuate your party or event. We specialise in creating websites that bring in leads to your business. We design sites with your entire marketing strategy in mind so that you get the best from your website. From Mobile responsive design from websites for small businesses to creating your own online ecourse we can get you online affordably. I have over 23 years’ experience working for numerous multinational blue chip companies, in a variety of demanding senior PA roles. I have extensive experience working for senior managers and directors in industries such as Corporate HR, Engineering, Research & Development, IT, Finance, Leisure, Medical and Retail. We are based in Merseyside, UK, however as we work virtually, we are able to assist clients nationwide and overseas. Outsource your business and personal tasks to us – safe in the knowledge that all of your important deadlines are met, at a fraction of the cost of employing a permanent Personal Assistant. Photographer based in Essex, UK specialising in product shots, corporate and website photos, environmental portraits and weddings. A professional photographer since 1997 I’ve been fortunate enough to have had fantastic opportunities photographing a wide variety of subjects across the world from aircraft to royalty, sporting events to military operations. Now based in Somerset, UK I’m just as happy creating portraits of children, grown-ups and animals, or architecture and landscapes, as well as producing corporate and commercial imagery, event photography and virtual tours. A qualified instructor, I run photography workshops, I have also got extensive experience in video, both filming and editing. Basically, as long as I’ve got a camera in my hand, I’m happy! Developed specifically for small businesses our affordable, individually tailored services make running your business simpler and more efficient. We provide a full range of accountancy services combined with forward thinking, proactive business support all supplied in a friendly, supportive and jargon-free way. We actively help our clients develop their business at the same time as ensuring they comply with tax and company law requirements. Our services include accounts and tax preparation, record keeping support, management reports to understand how your business is performing, budget support and business planning. We also offer a range of 121 or group training and workshops. I love making complicated ideas clearer through illustration, drawing in the good old-fashioned way by hand with pen & ink and watercolour. I’m particularly happy when I can do that for a small business or social enterprise doing good and interesting things in the world. My drawing retains a certain amount of detail and realism but also embraces a bit of wonkiness and reveals my quirky sense of humour, or so I’m told! “A picture is worth 1000 words” – but only if it’s the right picture. I enjoy the problem-solving fun of figuring out the best image for the job. Not For Profits, Charities, Arts Organisations, Social Enterprises and Small Businesses looking for funding streams. Do you need help in writing grant applications? What about help with attracting sponsors for your event, program or function? Do you want to build a corporate partnership but don’t know where to start? Are you looking for some direction on how to create a fundraising campaign? Let Square Pegs help identify and connect you with the right partners to fit your organisation. All projects priced on an affordable hourly or daily rate, with an upfront estimate given of the timeline expected. Well, hello there. I am Lisa and you are either reading this description because you need an online store. I have something for you! Head over to the website for more info on QuickStart and DFY services, DIY courses or coaching. Struggling to attract your ideal customers? Struggling to brand your business? Current branding doesn’t reflect your brilliance or passion? Do you need a wordsmith to wrangle those dreaded “About Me” business website words? Are you too busy running your business to think up communications for e-newsletters, brochures or blog articles? I can help you connect your product or service to your ideal target clients. Personalised service by a professional writer who endeavours to get in the head of your customer. You can find me via my website, social media or email if you would like to learn more. Also available for freelance feature writing in print and online publications or virtual assistant work. I just might be your new best friend. Images are essential to your business success, so let’s work together for your finest success. We are a team of three friendly qualified accountants who love helping out small UK businesses put their affairs and accounts in order. From setting up a company to filing annual accounts we are here to guide you through the process, or take it completely off your hands if you prefer! To check how we can tailor our offer to your needs contact us now for a free non-obligation quote! Hey Beautiful! I’m Theressa, the branding chick behind Indie Pixel house. I’m here to help spirited folks build inspiring brands and online homes that speak to you and those you want to serve. If you’re a creative soul who’s business doesn’t quite fit the mainstream ethos or you just do things differently, I’d love to help you leave your mark on this world. My mission is to help business owners get on with what they do best – running their business, by offering bookkeeping, typing and administrative services of the highest quality.I provide Bookkeeping and BAS agent assistance to small business’. I use both MYOB and Xero. I have recently celebrated my 9th year in business. We help busy mums, WORLDWIDE, tick off their to-do-lists so they can spend more time with their families. We believe you can do anything, but not everything, so we offer a PA service for both your personal and business lives. Are you a new mum who needs a helping hand? Contact us before you lose your sanity. Working mums, find out how to clone yourself and stay on top of it all. We are based in Sydney. However, many of our services are virtual so we assist clients worldwide. Contact us for a complimentary quote and get your life back! Coastal VAs is a partnership between two experienced & talented virtual assistants. When you work with us, you benefit from both of our experiences & skill sets. – Deliver successful online marketing (Website, Email Marketing & Social Media Marketing). – Manage new enquiries for maximum conversion. – Communicate well with your existing clients so they receive excellent customer service & you maintain a high retention rate. – Streamline your essential administration & management tasks & take as many off your plate as possible. – Explore new ways of reaching your customers such as Webinars. With over 20 years experience in change management and communications, I want to help others shine. As a mentor, tactician, confidante, strategist, I help with refreshing and relevant coaching for business owners or managers. Sometimes it’s even as simple as providing an extra pair of hands to let you do what you do best! We provide Training Programs via email and online workshops designed to increase your confidence and familiarity with the numbers in your business. This is not an accounting program, but rather a step-by-step journey designed to help you understand and trust the numbers in your business for decision making, problem solving, and everything in between. We are dedicated to making these online trainings as relevant as possible, and provide follow up support to make sure that your specific questions receive a direct answer. With over 15 years experience in photography, and with a distinction in Photo Image Capture from City and Guilds, I am pleased to be able to offer a professional photography service to meet your every need. I specialise in food photography, product photography and events. I also work with children and pets, and sell quality prints and canvases. I work by commission and would be happy to provide a quote for any project. We are a small boutique graphic design studio guiding small businesses through their visual communication requirements. We specialise in brand identity, promotion and marketing collateral, and professional photography. Logo Design | Business Stationery | Brochures | Catalogues | Social Media Branding | Business Lifestyle Photography | Profile Portraits. Most people get into business because they love what they do. Which doesn’t involve spending their valuable time looking at the books. We started Bramble and Briar because we love helping other people deal with theirs less. Our services fall into two distinct streams – improve the technology used to power your business (cloud integration) or CFO level advisory (services). We only offer limited compliance services, as we step in with the tools to run your business better, and then step out while pairing you with a fantastic ongoing accounting advisor. We offer a no obligation introductory chat. We love to meet new people and hear about what they are passionate about, so if it’s coffee or a catch up over Skype, please get in contact. Hi, I’m Holly from Blue51 Communications, writer, communications advisor and unashamed word-nerd. Blue51 is a boutique communications consultancy based in Melbourne, Australia providing both copywriting and communications support for businesses. For over a decade I’ve helped organisations and businesses of all sizes tell their story and communicate their unique vision. Blue51 Communications is your go-to communications and professional writing consultancy for strategy, corporate communications, event support, direct mail, public relations and media campaigns, newsletters, annual reports, web content, fact sheets- you name it, I can write it. I’d love to help you out with your copywriting and communications- get in touch! Are you struggling with Xero or not sure which software is right for you. Perhaps you’re just overwhelmed by paperwork and dont know where to start. Bookkeeping With Zero Effort provides heart centred entrepreneurs/solepreneurs with bookkeeping/bas lodgements using Xero software. I am a registered BAS Agent. I take the stress out of bookkeeping, doing as much or as little as you would like me to, at an affordable price. I can package up whatever tasks you would like me to do, and still do some yourself, choice is yours. 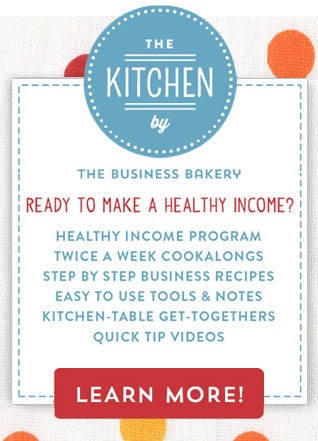 You may just need some guidance and BAS lodgement, or want to hand over the whole kaboodle. Most business owners didn’t start their business to become bookkeepers on their weekends, let me help you, leaving you to do what you do best and claim back those weekends. At Write Time Marketing, we are responsible for developing and managing content marketing solutions, including copywriting, blogging, e-newsletters, and social media, to small businesses that are either time poor or have a skills shortage to assist them with establishing and maintaining everlasting relationships with their customers. You have a business that you love and things are going swimmingly except for one thing. Your website. It just isn’t working out or looking the way you need it to. I will my skill and research to create a beautiful, website that brings you more business and is easy for you to maintain. I’d love to chat with you and see just what I can do to help out. Don’t be a stranger. Get in touch and I’ll help you make your website work better for you. Be empowered and confident about where your business is going. I offer business and strategic planning support with a creative twist. Tap into your creativity to get a fresh perspective on how your business is tracking, then create a plan that expresses who you are and what your business stands for. My approach uses tools, like LEGO, rich pictures, collage and journalling, to harness your brain’s intuitive ‘big picture’ thinking. You’ll come out with clarity, as well as having the essential steps to transform your vision into reality. It’s never too late to start, so let’s talk. I specialise in all things software. If you find you’re spending too much time trying to figure out PowerPoint, rather than servicing your client’s real needs, then I’m here to help. I love making things look flash and can turn my mind to any software. And as a software trainer, if I don’t know how, I have the aptitude and resources to solve your software issues so that your business doesn’t skip a beat. Find out how I can help you today. Need a hand finding your words? Wordy Bird can help you create readable content for your website, blogs, social media, brochures, print articles and more. We can start from scratch or edit your existing copy. I am a lifestyle and portrait photographer based in South West London. I work in and around Greater London, Kent, Surrey and West Sussex photographing couples, children, families and commercial projects. Please feel free to have a wander around my website to learn a bit more about me, my approach as well as my portfolio. Envious Solutions help business owners get better at their marketing and social media. We develop the right strategies to achieve your business goals and get you back on track. Areas we can help in are Facebook, copywriting, branding, email campaigns and automation, newsletters, flyers, brochures and advertising. something a bit amiss, right? Have you taken a look at how you are BRAND your business? Are you CERTAIN you know ‘everything’ about the client that you WANT in your business? Are you specifically aiming your business to your correct target market? Are you certain you know who your target market is? Are you certain that your product or service is for them? GET CLEAR! KNOW that you CAN get this right by knowing how to define and develop your brand. Building better websites for small businesses, whether brand new or to improve an existing site. Your website will be made with love, care and basic SEO to get you off to the best start. for a complete online package. As a bonus, get practical, realistic advice and useful tips about websites and online marketing, by visiting the RHDblog at righthanddesign.com.au/blog. Advice and planning for taxation and accounting matters. If you need a copywriter who understands the world of words and business, then Rashida is your woman. She has written for dozens of Australian magazines, big brands and small business, and knows how to translate your passion for your business into words without breaking the bank. Get engaging and persuasive copy which wows your customers by hiring Rashida for your next writing project. For a friendly chatty graphic designer who reads your mind & turns ideas into designs, speak to me louise at radge design. I love working with small businesses thinking outside the square turning your words and ideas into graphics – be it a logo, illustration, business card, flyer or any other design you can think of; creating designs to represent your businesses personality or simply turning your designs into a digital files. From simple one off designs to ongoing projects if you like my style of design then I would love to hear from you. We are all busy people, so we can’t be across every single thing – especially through the confounding minefield of bookkeeping, accounting and tax. 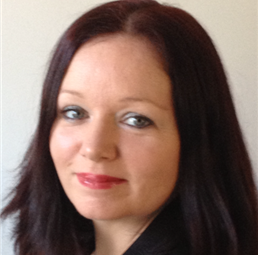 Jamerah Corporate is run by Jo-Ann and is based in Perth. (That is not to say that we cannot help you out, no matter where your location in Australia!) One of our strengths is always being open, honest and transparent with you. We like working together with our clients and helping to nurture and grow small businesses. Come sticky beak at our website, check us out on LinkedIn, or maybe even drop us a line. My name is Mel Smith, and I’m a bookkeeper & virtual assistant. I can help you with all that behind-the-scenes stuff, giving you more time to do the things you really enjoy. Do you have a WordPress website and need someone to make some changes to your site? Need help keeping your website updated and secure? Looking for someone to fix something that’s broken on your website? Want to install a new plugin, opt-in form, set up an auto-responder or add a tracking pixel but not sure how? We can do all of these techie things for you and lots more too. Drop me an email and let’s have a chat about what you need.